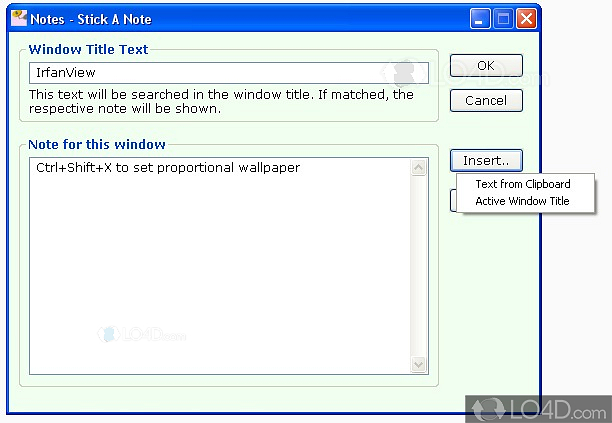 Stick-a-Note is a freeware reminder app filed under organizer and pim software and made available by Anand K Gupta for Windows. The review for Stick-a-Note has not been completed yet, but it was tested by an editor here on a PC. If you would like to submit a review of this software download, we welcome your input and encourage you to submit us something! Stick a text note to a window of program or document. The note shows only on that window and moves with it. 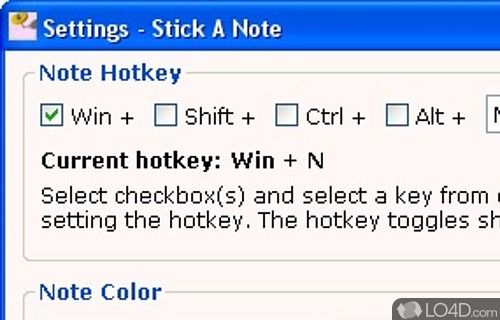 Press hotkey Win+N on a program or document window to stick a note to it. Right click on tray icon and select Settings, to define the hotkey and other values. 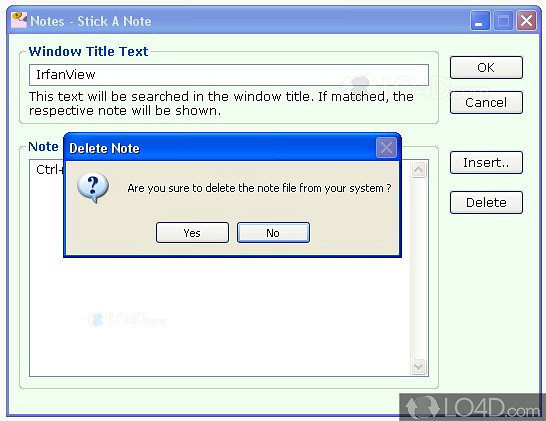 Stick a Note is licensed as freeware for the Windows (32-bit and 64-bit) operating system / platform from organizer and pim software without restrictions. 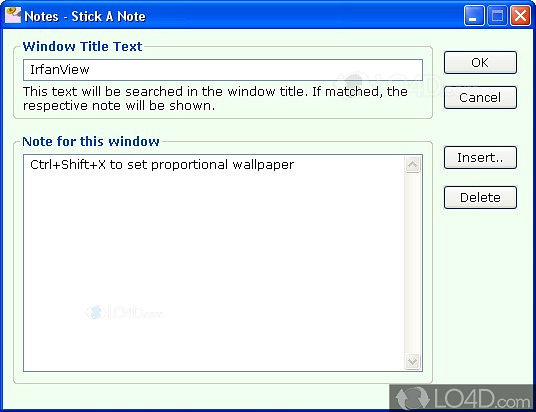 Stick a Note 2.1.0 is available to all software users as a free download (Freeware). Compatibility with this reminder software may vary, but will generally run fine under Microsoft Windows 10, 8, 8.1, 7, Vista and XP on either a 32-bit or 64-bit setup. A separate x64 version may be available from Anand K Gupta. This download is distributed as StickANote2.1.0.zip. We have tested Stick-a-Note 2.1.0 against malware with several different programs. We certify that this program is clean of viruses, malware and trojans.